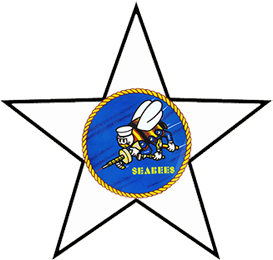 The Navy Seabee Veterans of America Inc., is a National Organization, perpetually incorporated in the State of Illinois under the "General Not For Profit Corporation Act". The Navy S.V.A. is organized for the purpose that" We, the Veterans of the Naval Construction Forces and the Civil Engineer Corps of the United States Navy, who have Honorably served our Country during time of war and peace, recognizing that service to God and Country is the foundation on which our Nation was founded, do hereby rededicate ourselves to that service, and further pledge our lives and actions to preserve the fundamental ideals of American Government, which we believe are Justice, Freedom, and Equality for all". We wish to continue our service to our Country, and in continuing to do so, we have developed certain Objectives which we actively pursue. To preserve, and encourage constant interest in, and support of the National Defense. To maintain for our country an adequate Military posture. To promote within our Nation, increased love of Country, Patriotism, and respect for our Nations Flag. To foster, and strengthen comradeship, and camaraderie among members of the various Islands. 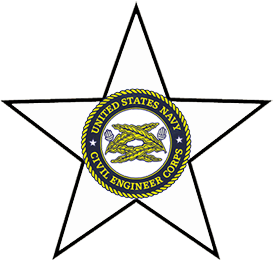 To stimulate, and inspire interests in all fraternal, patriotic, historical, and educational activities of the Navy Seabees. To perform such charitable work as may be deemed appropriate. To assist worthy comrades, their widows, widowers, and orphans in their time of distress. To promote , and instill interest in, and respect for the professions, trades, crafts, and occupations of our members. To assist in the rehabilitation, and welfare of the Veterans who have served in the United States military forces in time of war, and peace. To advocate the enlightenment, and education of all our American Citizens in the principals and values of true democracy, and true Americanism. To operate as a corporation not for profit.